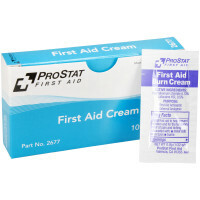 Looking for Johnson & Johnson First Aid Cream? 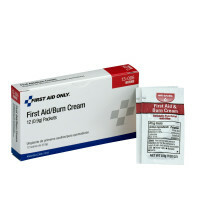 Popular with our customers as a replacement or substitute for the discontinued Johnson & Johnson First Aid Cream, our first aid burn cream is ideal for minor burns, scalds, small wounds, scratches, cuts, and abrasions. We've also included our other antiseptic and burn cream products with Aloe, Lidocaine and other popular first aid treatment, and burn relief products including After Burn, Water Jel, Burn Aid and Cool Jel. 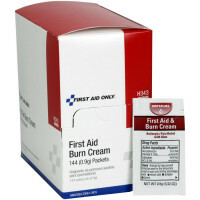 Learn more about the discontinued Johnson & Johnson First Aid Cream below. 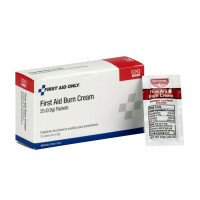 While many of our customers saw the discontinuation of Johnson & Johnson First Aid Cream as the end of an era - there are still many top quality (and in fact better in some cases and less expensive in most cases) first aid creams and first aid burn creams available to fill the void. While we have provided our most popular substitute for Johnson & Johnson First Aid Cream above, you should consider the ingredients and what purposes you want Johnson & Johnson First Aid Cream for when selecting your choice of replacement product. The ingredients of Johnson & Johnson First Aid Cream were Beeswax, Benzyl Alcohol, Cetyl Alcohol, Cetylpyridinium Chloride, Glyceryl Stearate, Hydroxypropyl Methylcellulose, Isopropyl Palmitate, Stearyl Alcohol, Palmitamidopropyl Trimonium Chloride, Trisodium Phosphate, Water.